Your symptoms might be a sign of health troubles to come. Here’s a scary stat: More than 29 million people in the U.S. have diabetes—a condition that occurs when your blood sugar is too high—but more than 8 million of them don’t even know it, according to data from the Centers for Disease Control and Prevention (CDC). That’s bad news. When left unchecked, the condition can lead to serious complications like heart disease, kidney damage, nerve damage, and vision loss. One of the reasons why so many people end up going untreated is because the symptoms caused by high blood sugar are sneaky. They tend to develop gradually, so you might not realize that you’re sick, says Joel Fuhrman, M.D., author of The End of Diabetes. 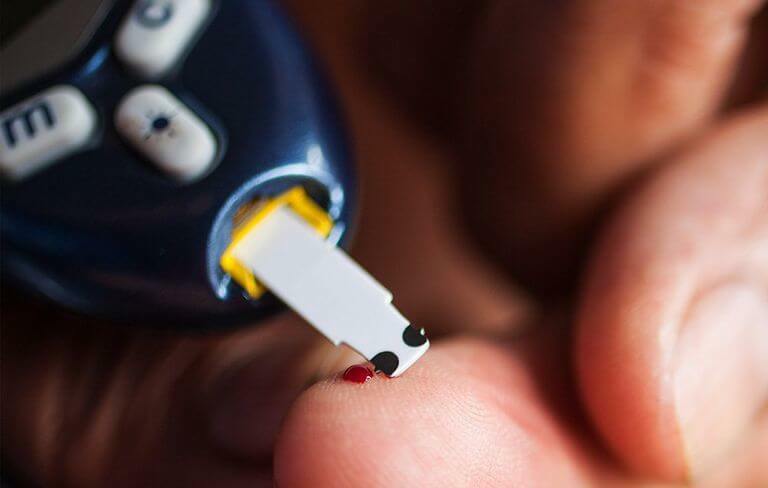 And even when you notice something is off, the signs can be vague, so you might not make the connection to diabetes. That’s why it’s important to know what to watch for. Here are 7 unexpected signs that your blood sugar levels might be too high. How many do you have? DIABETES SIGN: YOU’RE PEEING NONSTOP. Increased urination is telltale sign that your blood sugar could be out of control. When you have too much glucose—or sugar—in your bloodstream, your kidneys try to flush out the extra through your urine, explains Dr. Fuhrman. DIABETES SIGN: YOU’RE CRAZY THIRSTY. Peeing more often means that your body is getting rid of more water than usual, which puts you at risk for dehydration, says Dr. Furhman. That can leave you feeling thirsty and cotton-mouthed, even if it seems like you’re drinking the same amount of water as always. Plus, since you’re drinking more, that will also make you pee more, too. Fatigue is a classic side effect of dehydration. So if you’re peeing more often and are thirstier than usual, you might find yourself feeling weirdly wiped out, explains Elizabeth Halprin, M.D., clinical director of adult diabetes at Joslin Diabetes Center in Boston. You might feel zonked even if you’re still going to bed and waking up at your usual time. Getting up multiple times throughout the night—say, if you need to pee— interrupts your sleep, too, Dr. Halprin says. As a result, you end up getting less snooze time than you think. DIABETES SIGN: YOUR VISION IS BLURRY. Your macula is a small lens in the center in your eye that’s responsible for sharp central vision. But when your glucose levels are too high, fluid can seep into the lens and make it swell up, Dr. Fuhrman says. That swelling can change the shape of the lens, so it’s unable to focus properly. When that happens, your vision can get fuzzy and unclear—even if you’re wearing your glasses or contacts like usual. DIABETES SIGN: YOUR GUMS BLEED. The same sugar-loving bacteria that cause your cuts to heal more slowly can also mess with your gums. That can make them red, swollen, tender, and more likely to bleed when you brush or floss, says Dr. Halprin. Normally, your body fights off infection-causing germs in your mouth. “But the elevated sugars make your mouth a much friendlier place for the bacteria, and decrease your mouth’s natural bacteria-fighting properties,” she says. DIABETES SIGN: YOU HAVE WEIRD PATCHES ON YOUR SKIN. Too-high blood sugar levels can damage your blood vessels, including the blood vessels that sit directly under your skin, explains Dr. Fuhrman. That damage can lead to shiny or scaly reddish brown patches on your skin—especially on your lower legs. The patches are usually itchy, and they can even be painful. You might also notice dark, velvety patches in the folds of your skin—particularly in the armpits, groin, or neck. Excess blood sugar can cause your skin cells to reproduce faster than normal. The new cells have more pigment, which can lead to dark patches, Dr. Fuhrman says. They patches probably won’t hurt, but they might itch or even smell bad. Feeling unusually thirsty or tired for a day or two probably isn’t a big deal. But if the symptoms stick around for more than a couple of days, or they’re accompanied by other symptoms, get them checked out ASAP. “These are clear signs of diabetes, and you should go to the doctor right away,” Dr. Halprin says. Your doctor will perform a blood test to test your blood sugar levels. If they’re too high, he may recommend medication to help you manage your levels. But lifestyle changes can make a big difference, too. A healthy diet that’s high in plant-based foods and low in sugar has been shown to reverse pre-diabetes and diabetes, Dr. Fuhrman says.